Hadad Bros. 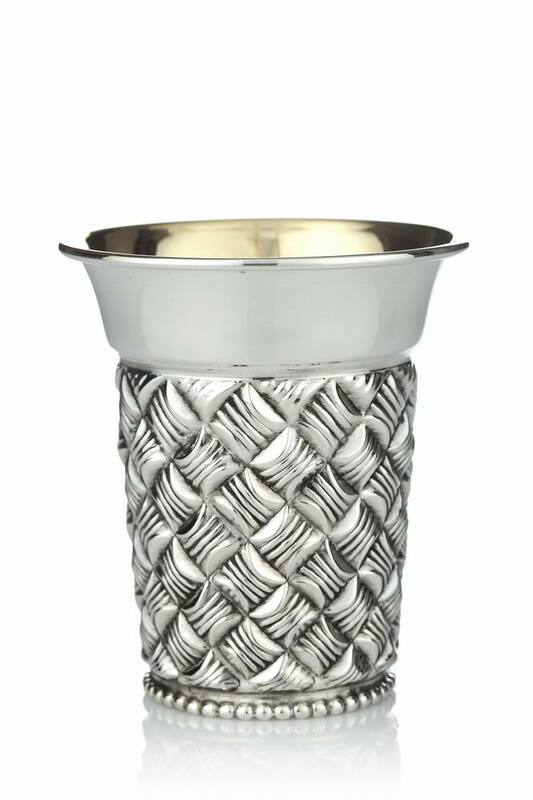 Silversmiths created this 925 Sterling Silver Kiddush Cup to enhance your Shabbat & Holiday table. Made in Israel by Jewish Laborers. Basket weave design forms a band around this elegant Kiddush cup. The cup holds the Shiur [halachic amount] of wine required for Kiddush and for the 4 cups of wine at the Seder.